Facelift surgery, also known as a rhytidectomy, can address skin laxity that occurs during the natural aging process. Over time, skin begins to lose elasticity, leading to the appearance of unsightly wrinkles and facial furrows. Additionally, repeated exposure to the sun’s rays, lifestyle choices such as smoking, and repeated facial expressions can contribute to the signs of aging. These effects result in a loss of definition around the jawline, cheeks, and upper face, leading to an older-looking profile that may not reflect how you truly feel. Our Orlando facelift surgeons specialize in innovative surgical techniques that can reposition loose skin and lift facial tissues, producing a younger-looking appearance. If you are suffering from fine lines, hollow cheeks, jowls, or a loss of facial volume, then consider undergoing a facelift with board certified plastic surgeon Dr. Oppenheimer. A mini facelift, also referred to as a mini lift, can achieve substantial facial rejuvenation results with less healing time than a traditional facelift. Mini facelift surgery is ideal for patients who are beginning to experience the first signs of aging, including laxity in the mid and lower face. Skin begins to lose collagen as you get older, leading to a loss of elasticity, structure, and volume. Cheeks begin to sag and facial wrinkles become more prominent. The mini facelift is designed to lessen these effects while also providing an alternative to traditional surgery. Those who do not want to undergo a more invasive procedure, such as a full facelift, can opt for a mini facelift to tighten loose facial skin. The mini lift can improve jowls that have begun to form and elevate the cheeks for a younger-looking facial profile. Dr. Oppenheimer offers mini facelift surgery in Orlando for patients looking to achieve long-lasting facial rejuvenation results. During your facelift, Dr. Oppenheimer will make small incisions in the skin in order to carefully restore youthful contours to the face. Loose skin can be lifted and redraped to eliminate drooping or wrinkling. Next, any excess skin or fat can be removed to promote firm definition. Lax skin around the upper, mid, and lower face, as well as the neck, can be treated to ensure balanced results. Dr. Oppenheimer’s techniques assure that minimal incisions will be utilized during your facelift surgery and that they are hidden around the ear and in the hairline. Incisions are strategically placed to ensure they remain virtually unnoticed after your procedure. Facelift surgery may be combined with a variety of other facial rejuvenation procedures, depending on your treatment goals. Patients may choose to undergo chin augmentation, eyelid surgery, or other forms of facial rejuvenation to further enhance their facelift results. Patients are free to return home the day of their facelift surgery, or may stay overnight in the surgical center, depending on the type of facelift or necklift performed. After undergoing a facelift, you can expect some bruising and swelling to occur in the weeks following treatment. 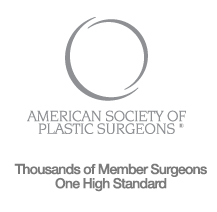 Facelift recovery time is dependent on the specifics of your procedure, but many patients are back to work within 1-2 weeks. Your facelift can yield long-lasting facial rejuvenation results. Unlike non-surgical alternatives, which temporarily replenish volume, facelift surgery addresses underlying layers of loose skin to enhance contours. Individual results will vary by patient. However, many patients see results lasting years after opting for facelift surgery.